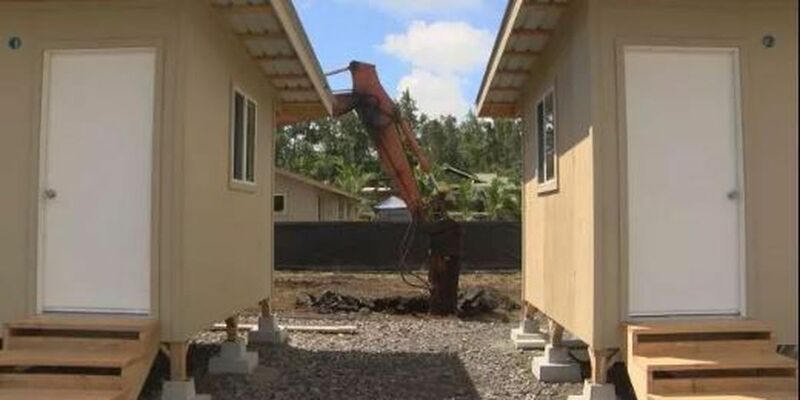 HILO, Hawaii (AP) - Transitional housing units for people who were displaced by Kilauea volcano eruptions are nearly finished. The Hawaii Tribune-Herald reports the Hale Iki Village, a development of 11 micro-units built on property owned by a Big Island church, was expected to be completed last month, but it was pushed back due to other storms in the area. A tentative move-in date is set for Tuesday. A grand opening is planned for Sept. 29. He says the church owns the land and initiated the work, but 85 different community partners have since joined the church on the effort.